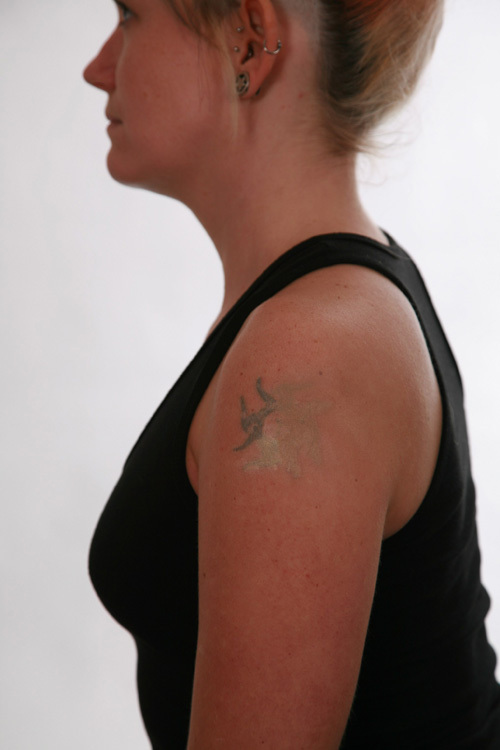 Tattoo Concealer Makeup to Camouflage your Tattoo. Cosmetic camouflage kits for those occasions when a visible tattoo simply won’t do! 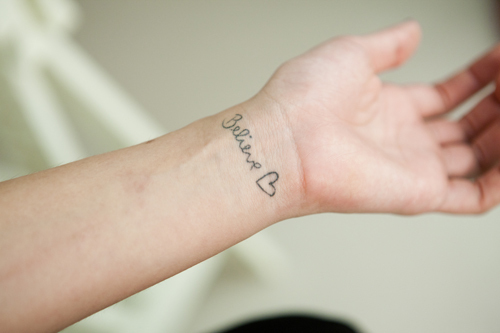 Julie is getting married and wants to hide her tattoo on her wrist. There’s another problem, her mother doesn’t know she has it. Whoops! 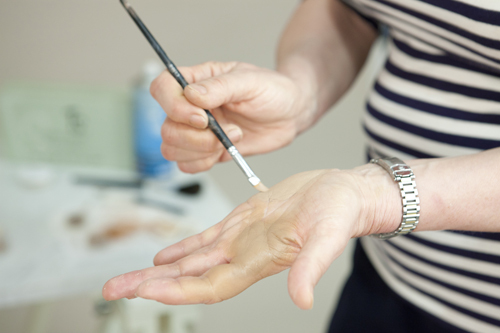 Firstly, Maggie Richards, our camouflage expert, showed Julie how to apply a good base to make sure it lasts all day. 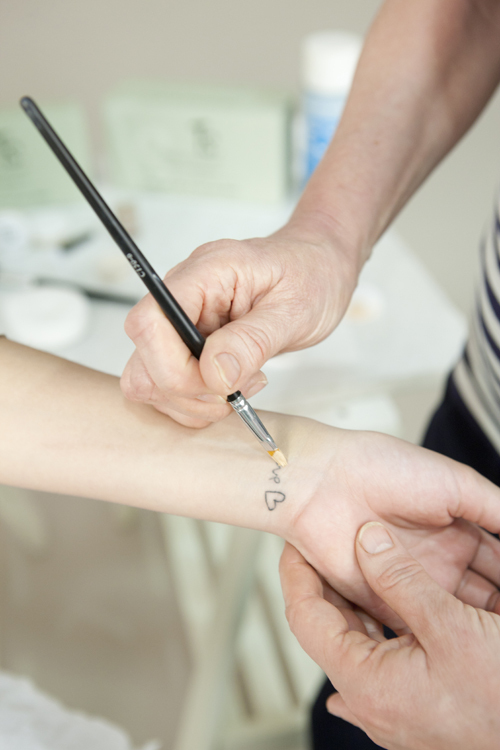 In doing this you need to apply our lighter neutralising concealers that blank out the tattoo’s colour and black outline. If this stage is not done properly you will find that the tattoo’s outline will start to bleed through and you will soon be able to see it again. 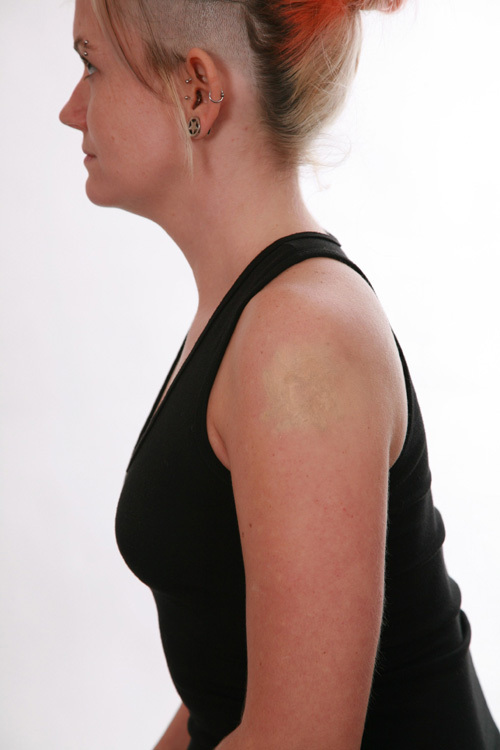 After this stage was complete, we then matched her skin tone to our medium no.2 and no.3 concealer colours. This was perfect for her olive skin tone. We applied this colour on top of the base and blended it in with the skin around it. We finished off with a dusting of Finishing powder that has been made to set the area and keep it covered for up to 12hrs. Maggie also sprayed the area with our fixing spray for extra protection. This stage was extra important as we didn’t want the product to transfer onto her dress. She was all done and ready to go in 20 minutes! Please watch our step by step video below for more information on application or feel free to email us at: beautydispensary@gmail.com. 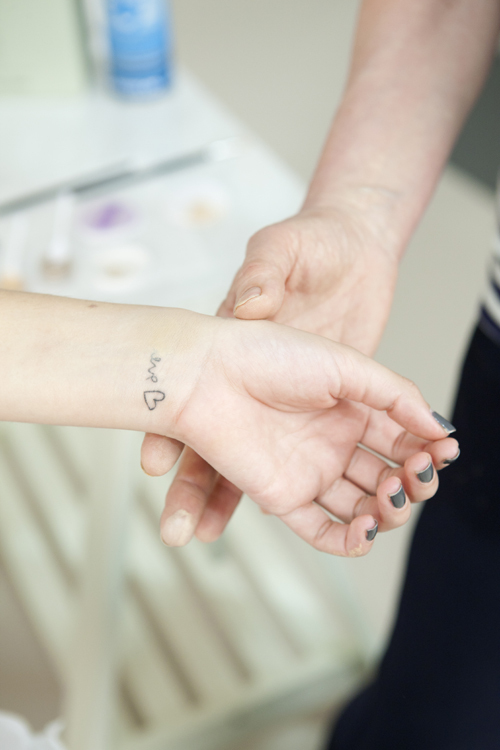 Tattoo Secret was developed with the help of make up artists and skin camouflage experts. Our range of shades and high colour pigment enables a perfect colour match for all skin tones. 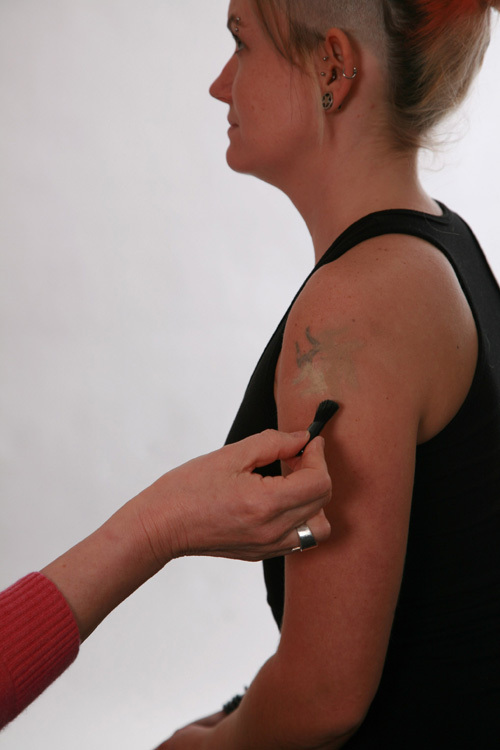 Neutralising tattoo colours – apply the neutralising bases with the brush provided. Select a colour to match your skin tone. 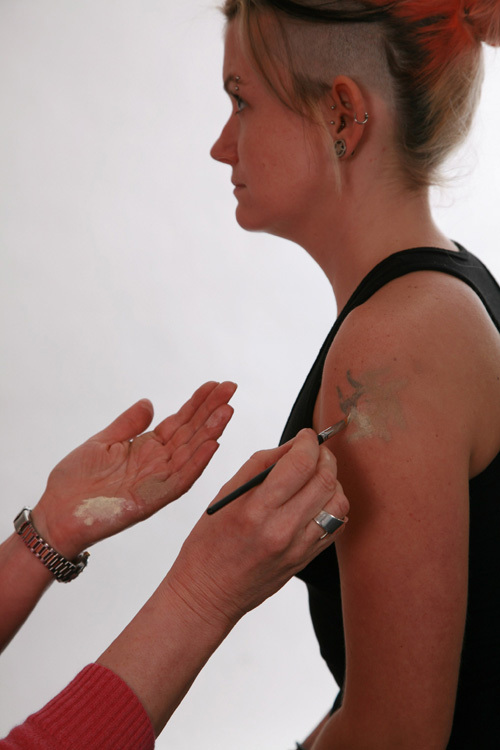 Apply over the neutraliser to create a natural finish. Finish with a dusting of powder to the covered area to set the colour and make it water resistant. 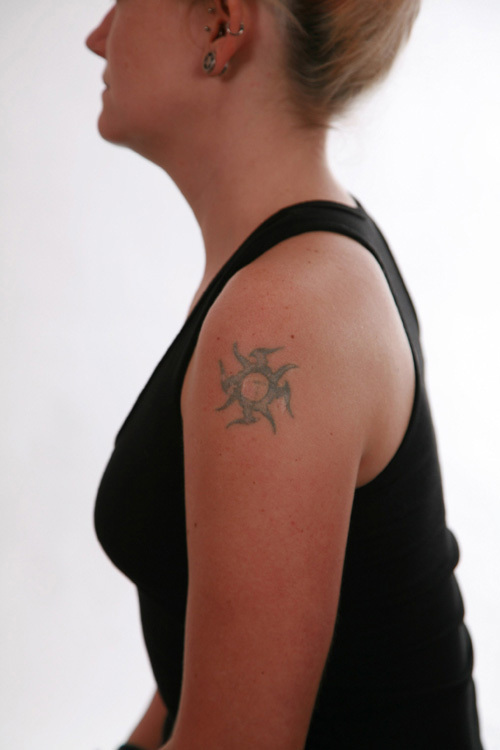 Beth had a tattoo that she no longer liked on her upper arm. She had this done when she was younger on top of an old scar. 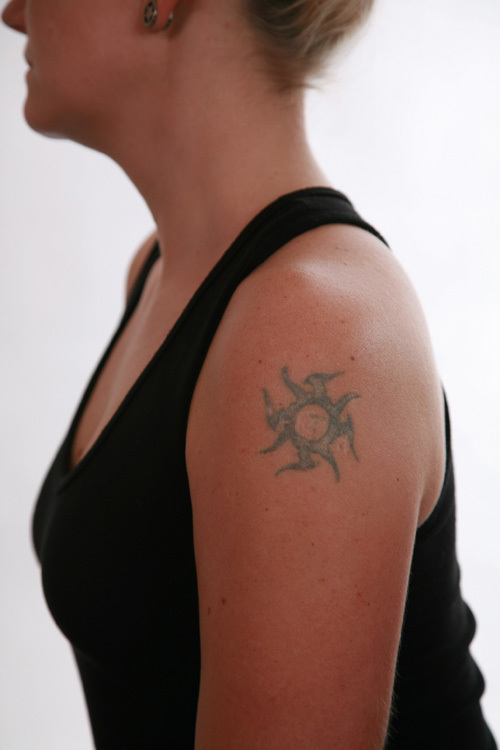 She had tried to have this tattoo removed via laser some years back, but it left a faded tattoo on her arm. She avoided wearing tops that revealed her tattoo and wanted to be able to cover it at work and weekends. We helped Beth cover her tattoo using our medium colours and blended them for a natural result. The issue with this tattoo, was that the area was heavily scared and not smooth. We needed to get the under coat (neutralisers) right to remove the colour in order to achieve a great even result. 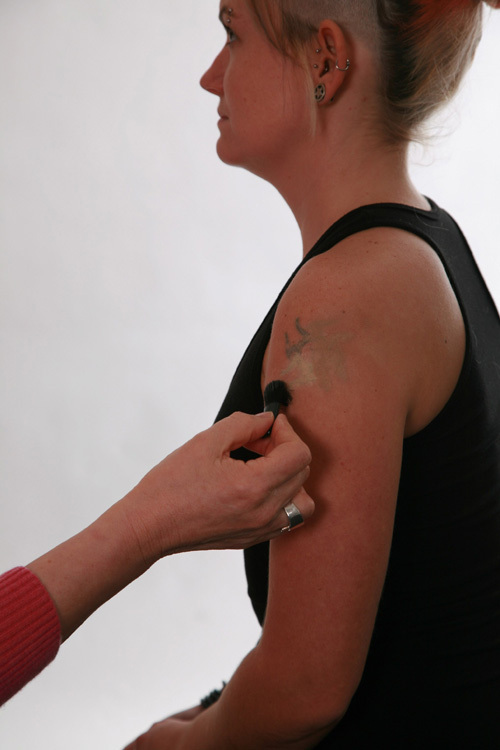 The neutralisers are lighter in colour and help to blank out any colour from the tattoo. The medium colours 1 and 2 where blended to create the right colour match for Beth. They were applied on top of the neutraliser base and finished off with powder to set the area for up to 12hrs. For more information please email us at xxxxx or watch our application video below. 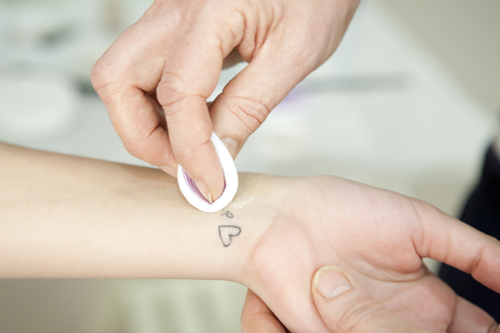 Tattoo Secret is the first product from The Beauty Dispensary, a company set up to bring imaginative and effective products to your beauty routine. The company was founded by women facing the same beauty issues as you, put it simply we wanted products that work, are kind to your skin and wonderfully easy to use. We hope this comes across in our product, packaging and application guides. So, why the tattoo business? Whether it’s a special do, a new look or just something you’d sometimes prefer to keep secret, there are times when your tattoo just isn’t doing it for you. 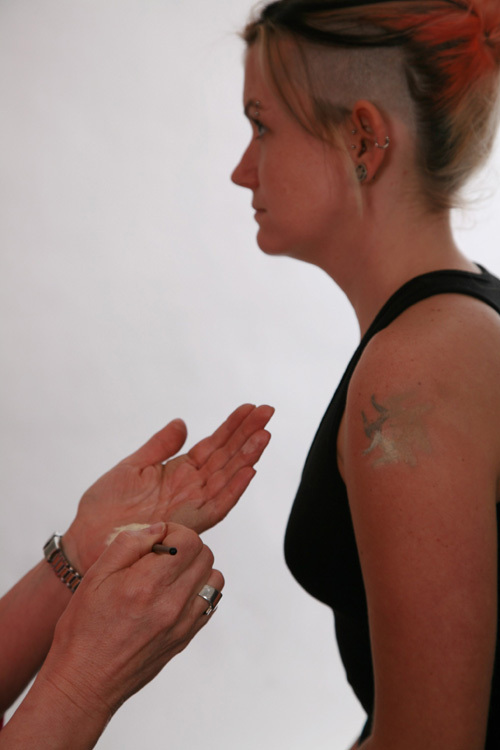 Frustrated by the lack of high quality, effective options for just these situations we started working with one of the UK’s leading skin camouflage experts from St Mary’s Hospital London. 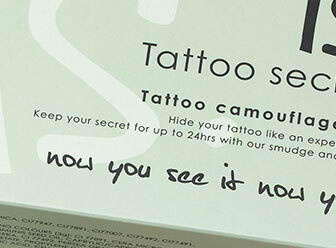 Building on this base of scientific research we developed Tattoo Secret, an easy to apply camouflage cream specifically created for the heavy inks and colours often found in tattoos. 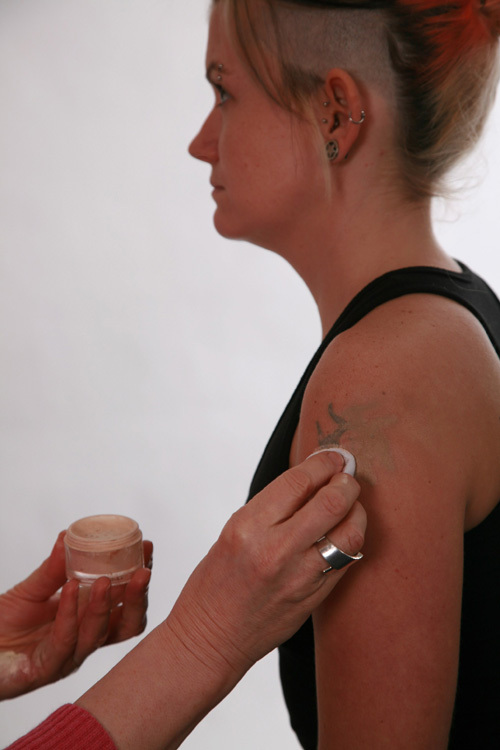 As well as being highly effective and long lasting Tattoo Secret is kind to your skin and easy to wash off. As a company, we always want to improve on what we do and and would love your feedback on Tattoo Secret! Thanks and keep the secret! 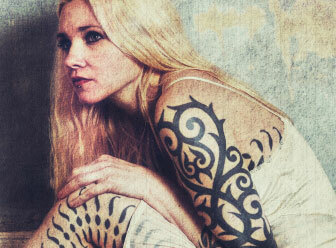 SARAH BROCK RECOMMENDS TATTOO SECRET…. 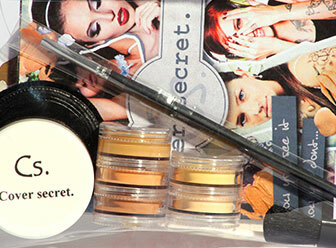 Award Winning Makeup Artist Sarah Brock Recommends Tattoo Secret. At last! For brides who have a tattoo that they want to cover on their wedding day, there is now a solution – the Tattoo Secret Tattoo Camouflage Kit. 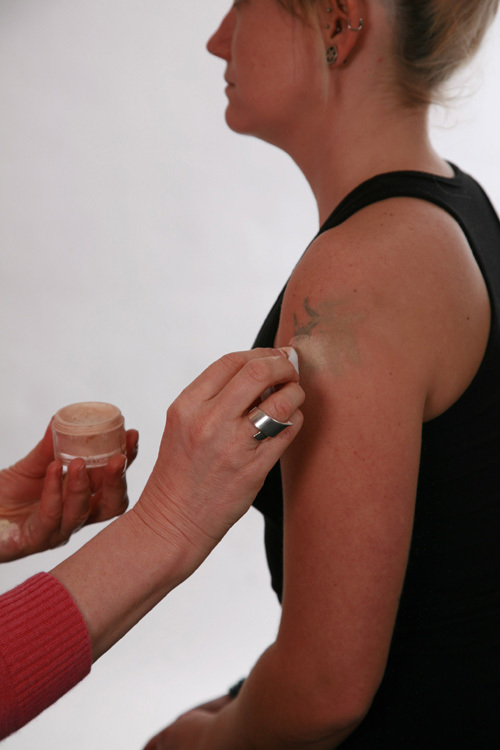 There are many products on the market to cover tattoos, but often I have had comments from brides who have used them and said that they are heavy, thick products which are difficult for them to apply. This has meant brides often relying on a professional to do this for them. I was so excited when I heard about this kit, as it sounded the perfect solution. If you have a tattoo for example at the base of your back, your wedding dress will cover it, but there are brides who have tattoos on their chest/ upper back/ arm and whilst they may love the look of their tattoo day-to-day, they want to cover it on their wedding day. Christine’s tattoo was on her tummy and she wanted to be able to cover it when she was on holiday wearing a bikini. 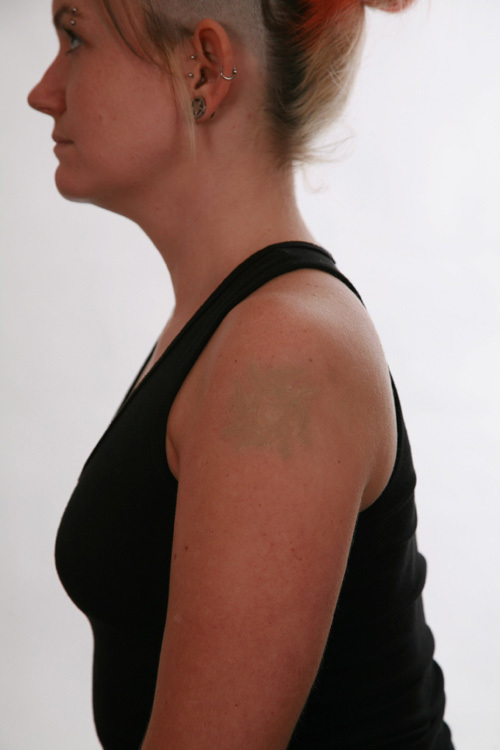 Using the medium colours on her, we were able to hide her tattoo with a natural result. 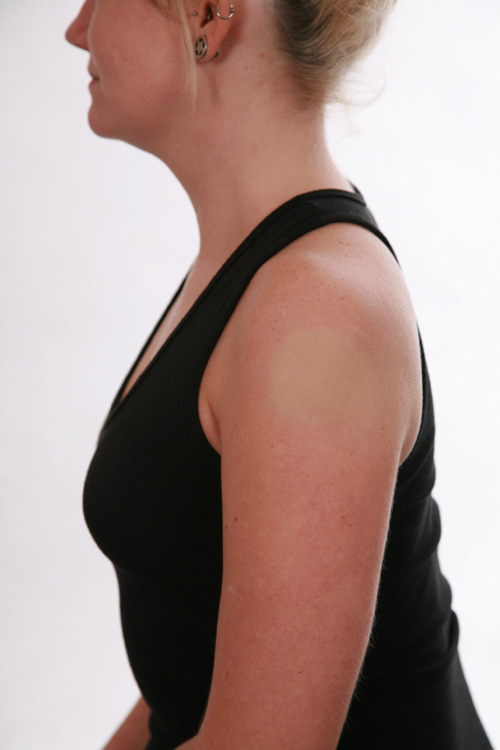 It was a small area, but getting a good natural skin match meant it wasn’t noticeable when she was on the beach. She uses the finishing powder regularly after swimming to keep the area water resistant. ready to check out our range of products? 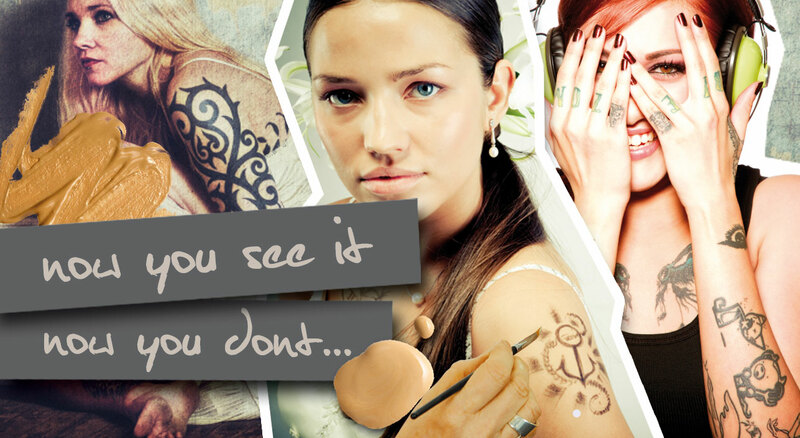 I consent to Tattoo Cover Up | Tattoo Concealer Makeup to Camouflage your Tattoo collecting my details through this form.